B2B is a dynamic and innovative B2B publishing company. From its early days of being a print-only publisher through to today’s dynamic group of media. The company has been at the forefront of providing a primary resource on information for purchasers who are researching and looking for solutions to their business needs. At the same time helping to fulfil the marketing needs of our customers by offering a range of marketing solutions such as magazine, web-portal, weekly e-newsletters, streaming video and on-line lead generation programmes. Since 1995, B2B Publishing Ltd has been dedicated to producing high-quality media for users and implementers of professional IT software, hardware and related solutions. 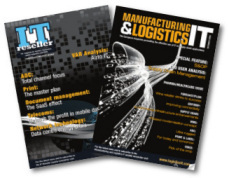 Our flagship magazines, Manufacturing & Logistics IT and IT Reseller have been market leading journals, providing the best informed source of information and advice on a range of systems and their applications within a host of diverse industry sectors. These journals are ably supported by accompanying websites – LogisticsIT.com and ITRportal.com. These titles have been complemented by a dynamic and ever growing group of websites, weekly newsletters and social media platforms. Each site is focused on providing valuable industry information and advice for systems purchasers who are researching and looking for solutions to their business requirements. These sites also set out to ensure our vendor customers secure maximum value from their marketing budgets by offering a range of marketing solutions that allow them to maximise the breadth and impact of their messages. Contact us on +44(0) 208 440 0372, or email info@b2bpub.com, to find out how we can ensure you get the very best value for your marketing spend.